Kubota 9,875 Watt Diesel Generator with Sound Enclosure - This Kubota diesel generator is suitable for continous use and has plenty of power to run your home, job site or business. The sound will lull you to sleep. This unit operates at 1800 RPM. It comes with a sound attenuated enclosure, integral muffler and 4 point vibration mounts for operation so quiet...it's sure to make you smile. 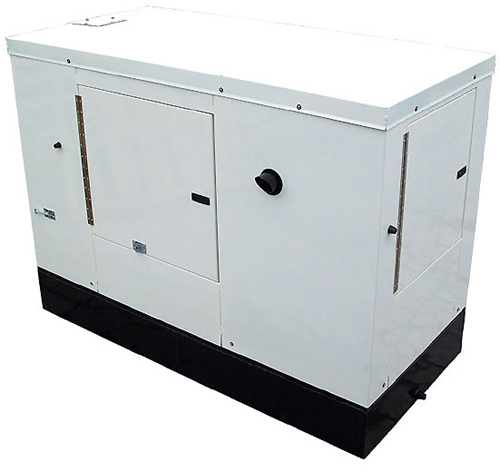 Like all Central Maine Diesel generators, this unit is fully customizable. From enclosure to fuel tank to controls, you choose the option that is right for you! And, as an added benefit, you will always have the flexibility to upgrade options later. This unit features a Kubota D1305 1800 RPM diesel engine, cast iron crankcase with reborable liners, brushless generator end (fan-cooled), +/- 1% AC voltage regulation to protect your electronics, low oil and high water temperature shutdown, high volume air filter, battery charging 12 volt alternator, glow plugs for cold weather starting, heavy steel skid base and control panel w/ hour meter. Bore & Stroke 2.99" x 2.90"
Oil Capacity (w/ Oil Filter) 4.5 qts.